On The Air & On Line — Watershed Productions Inc. 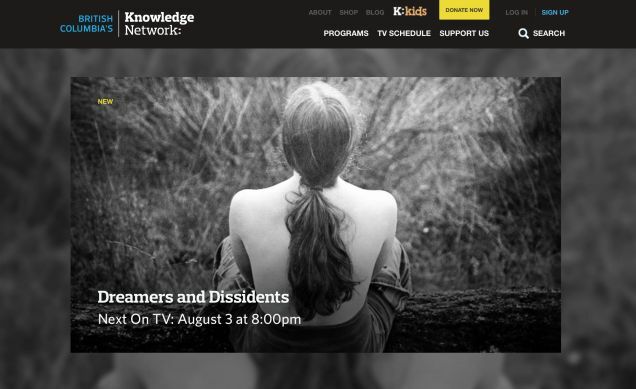 The broadcast premiere of Dreamers and Dissidents on Knowledge Network was on BC Day, August 3rd. Visit knowledge.ca to find out the next time it will be playing on the network. You can view the series on the Knowledge Network website anytime. Posted on June 3, 2015	in Events. Bookmark the permalink.